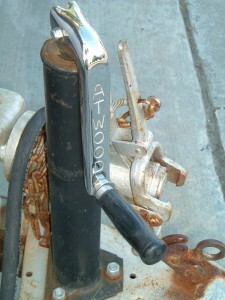 The original Atwood jack had been bent some time in the past. We used the new beefier 2000# Atwood, which is larger in diameter than the 1000# original that bent, necessitating enlarging the hole in the tongue frame. On the other hand, the handle is now made of cheap metal with a plastic handle that UV rays will destroy in about 7 years. So, I transferred over the old handle to the new jack. 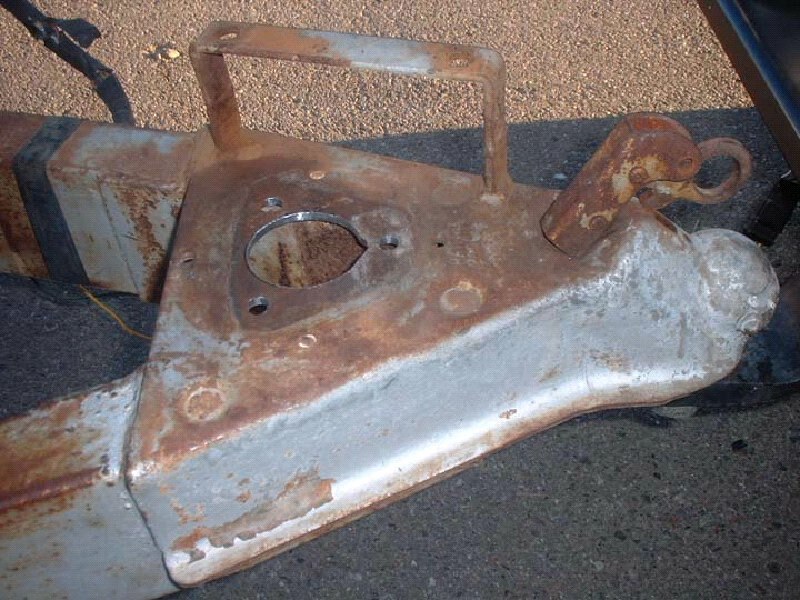 I originally painted it silver, but it kept rusting, so I had it chromed, and after putting a hand trowel grip on it, it has been fine ever since. The fitting prior to painting. 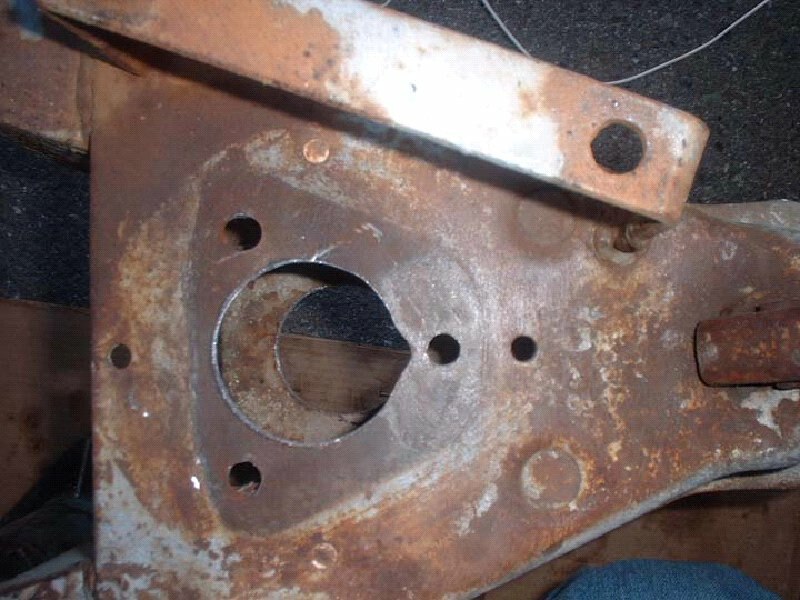 I also installed new dual 5/16″ safety chains at this time, installed into holes drilled into the bottom flange plate of the tongue. The installed jack with the “old” handle painted silver (that did not last). The jack will be painted later with the rest of the tongue. 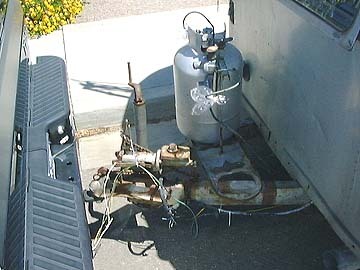 The disconnected Stromberg hydraulic slave brake valve is in the background. Here’s the handle 3 years after being chromed. The rubber grip is from a garden hand trowel. The Atwood was about $28 and is rated at 2000# with a shaft diameter of 2″ vs the old diameter of 1 3/4″. There is an optional flat plate that goes on the bottom of the shaft, or you can use a block of wood. 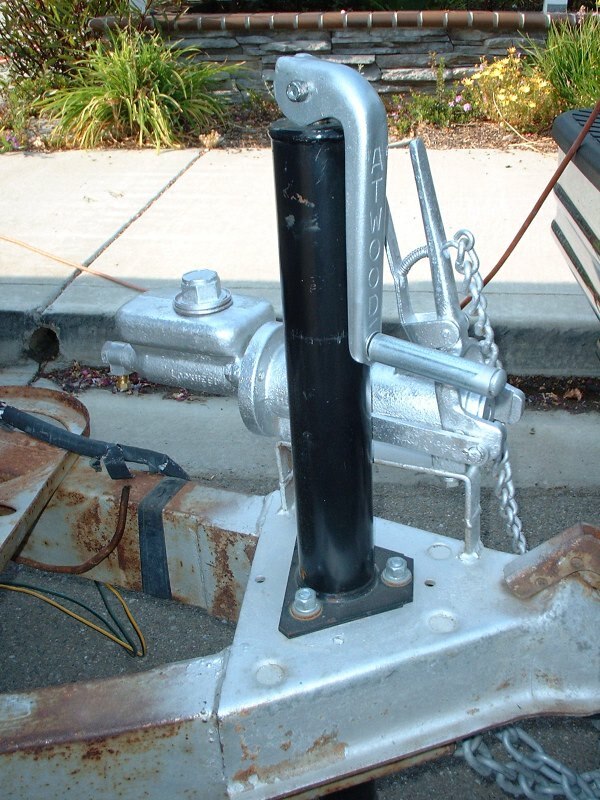 The lighter 1000# jacks have a caster (plastic wheel). The original metal wheels could support 2000#.